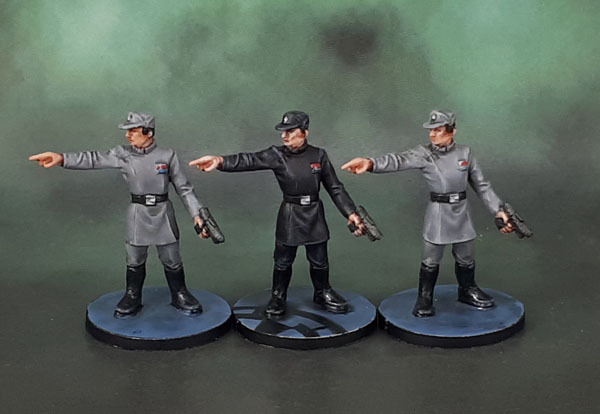 Imperial Officers | Azazel's Bitz Box. He went that-a-way, (Imperial) Officer! Today we have the final set of models from Unit-Ed October, the trio of Imperial Officers from FFG’s miniatures boardgame Imperial Assault. Not especially hard figures to paint, and they came out nicely enough. I didn’t try to paint in the whites of their eyes or anything, given just how small and undetailed their faces are. I went for the more usual method used by historical gamers of painting in a darker area that gives the impression of eyes, and on figures that are smaller or less detailed like these, it’s entirely appropriate. Despite a lack of facial detail, the folds in their uniforms are nice enough, and so weren’t to difficult to get a nice, simple highlight and shade onto. Certainly good enough for a tabletop boardgame! Obviously, I went with the black uniform for the Elite officer (as well as floor-cog), and simple uniform greys for the others. 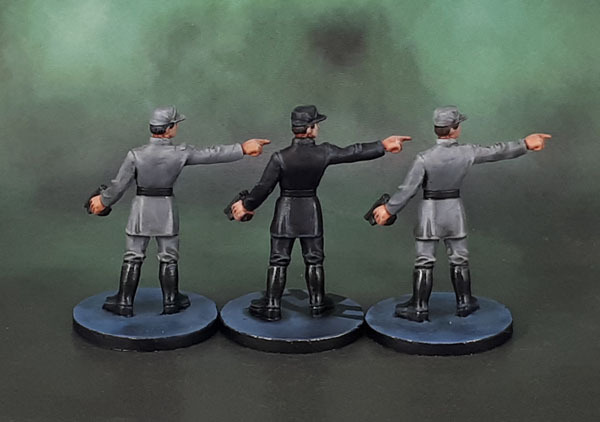 I did consider doing one or both of the junior officers in the deep field greens (feldgrau) that Imperial Officers are sometimes seen in, but there are so many shades that eventually I just gave up on looking and went for a plain, but solid shade of grey. And that’s the last of my completed units for October. 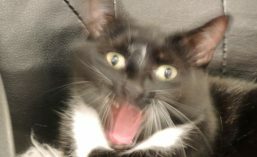 I hope to have my monthly round-up done tomorrow (hopefully).